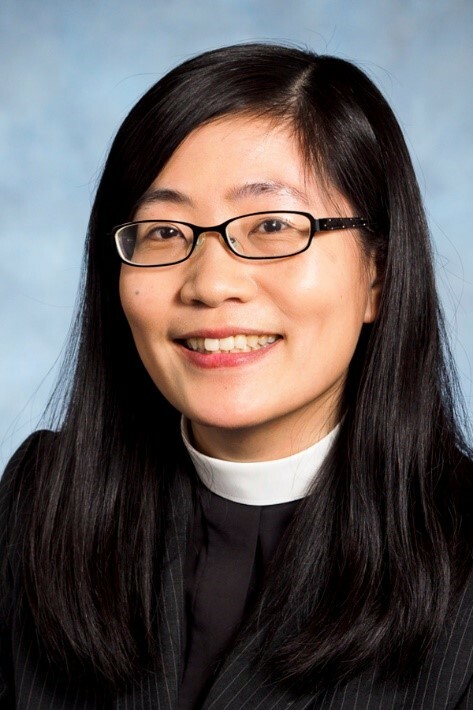 Vivian comes to us from her most recent position as Rector of St. Matthias & St. Luke in Oakridge, Vancouver, and before that, she was Curate at St. Peter’s in Bay Shore, New York, serving as assistant priest and day school chaplain. She was born in Hong Kong, and spent her childhood and youth both there and in the U.S. (in New York and New Jersey). She holds a B.A. in Metropolitan Studies from New York University, and an M.Div. from the Church Divinity School of the Pacific (CDSP) in Berkeley, California. Before she was a priest, Vivian worked for several years in New York City non-profits, including managing membership services for the Freelancers Union, connecting those in non traditional work situations to affordable insurance benefits. 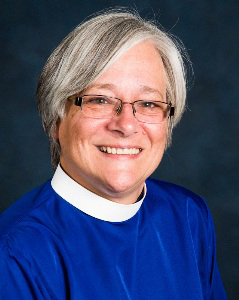 She has also worked in the development offices of the General Theological Seminary and CDSP, supporting work in institutional fundraising and alumni connections. Throughout her ministry life, she has been active in work on local and national levels, including teaching Sunday school, playing piano, and leading various youth and young adult ministries in both the Asian American/Canadian and broader communities. She is enthusiastic about ways that people of all ages can continually grow in faith and live out this faith in day-to-day life, as well as how to share the Gospel more effectively in traditional and new ways. She is interested in ministry to and with those on the margins, and has done mission work in Panama and post-Katrina New Orleans; she also has been on a pilgrimage to the Holy Land to learn more about the lives of local Palestinian Christians. She has served in several leadership roles in the wider diocese including helping to develop: anti-racism ministry workshops; the lay spiritual formation retreat “Pro Mundi Vita – For the Life of the World”; and Hineni House, a young adult intentional spiritual community. Vivian and her husband Bascom, who teaches anthropology at Simon Fraser University, love exploring various neighbourhoods in their free time. They welcome your suggestions for new local things to experience here in Port Moody and surrounding areas! Anne was ordained to the Diaconate in July 2001 at St. John’s after being raised up and recognized as a deacon in their midst. During this time, she was working as an Assistant Bank Manager, putting herself in the midst of the world of commerce and faith. She is now retired from this business and finds that her key ministry focus in the world is with her family, and that involves care and support for the three generations that live in her home. Anne has always felt a strong call to empower people in their Baptismal Ministry, and she provides opportunities for education and study with all ages in the parish. Her main focus in this call at this time is with the Education for Ministry (EfM) program, which is a four-year continuing education course offered through the University of the South and is a recognized course of study by the Diocese of New Westminster and the Anglican Church of Canada. Anne has been working to deepen the awareness of the parish of the Call to Reconciliation with First Nation peoples, primarily with the Port Moody Welcome Post project and connecting with people’s of the Tsleil-Waututh First Nation.